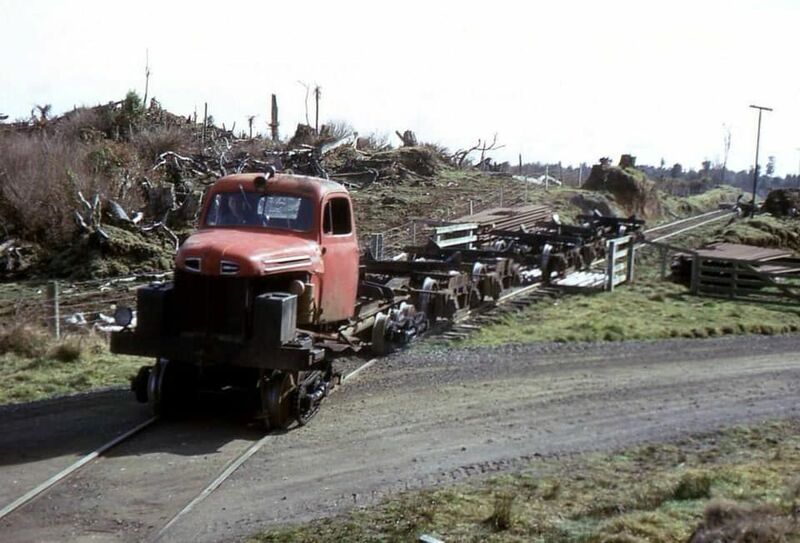 Alas I know not where this vid was taken. 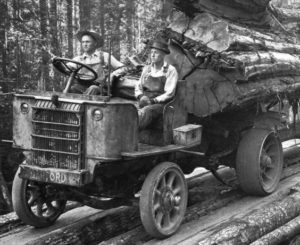 What I do know is that it shows just how a few of the “old-timers” – men and women ran a sawmill. 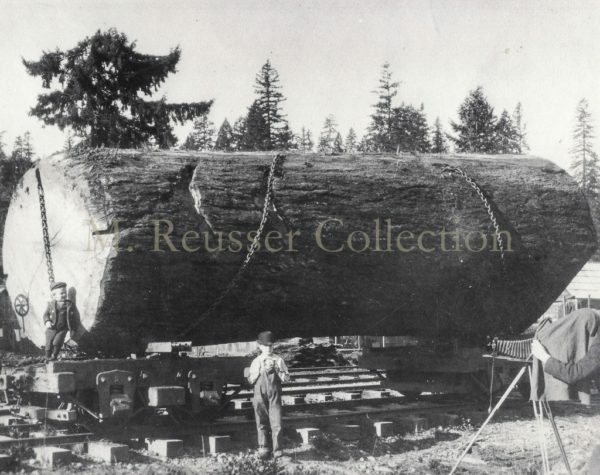 Photo of a photographer photographing kids, next to a large Redwood log, on disconnects. The photo and the text I got from Marc Reusser’s Facebook page. Note that the end of the log has been “sniped”. 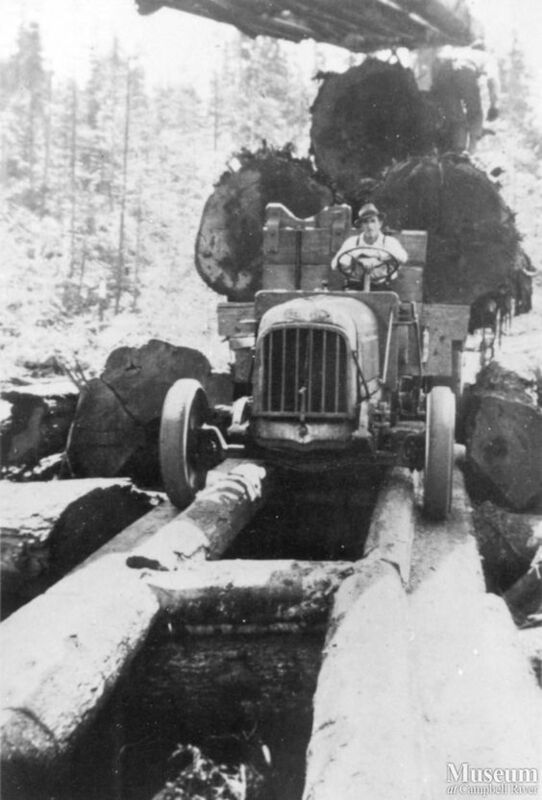 The lower end piece was cut off to assist it to travel to the loading point. 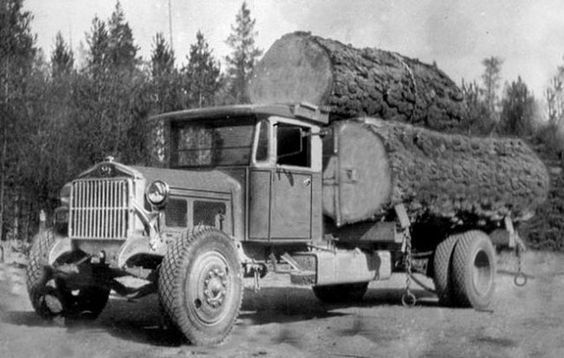 The road that it traveled was probably a skidroad. 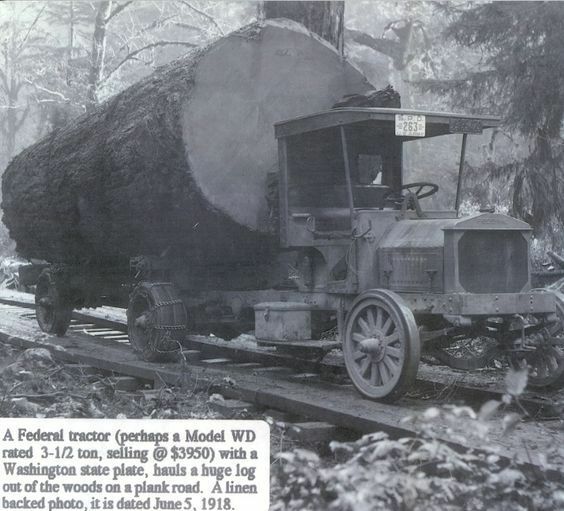 We live five odd miles to the north of Fort Bragg on Route 1. Route 1 is an old road and was NOT designed for the traffic that now uses it. If, like me, you need to take Route 1 to get into town (Fort Bragg) it’s dollars to donuts that your going to have an 18 wheeler up your rear end urging you to go faster and/or being buffeted by logging trucks going past one in the opposite direction. The logging trucks rip out the studs in the middle of the road and make copious holes which get repaired in a way that they reappear within days of being fixed. 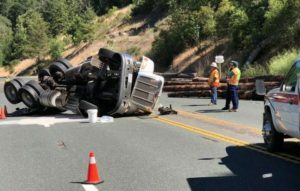 The only good news is that after vigorous protests from folks like me the speed limit on the stretch of Route 1 that I travel has been limited to 45 mph. So much for my bleat. This blog is substantially about the logging that took place along the Mendocino Coast from its beginning. 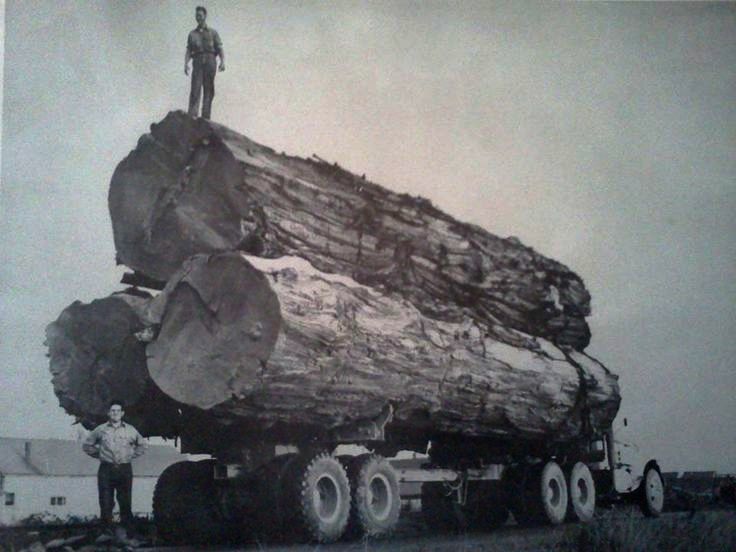 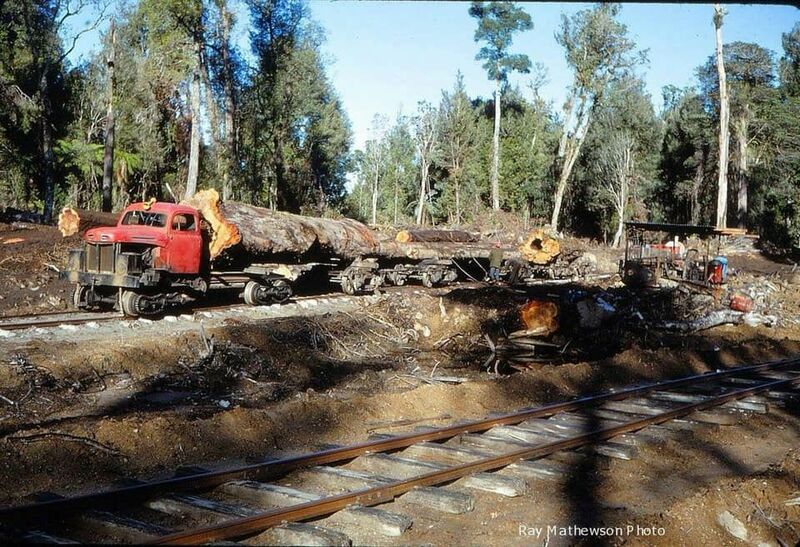 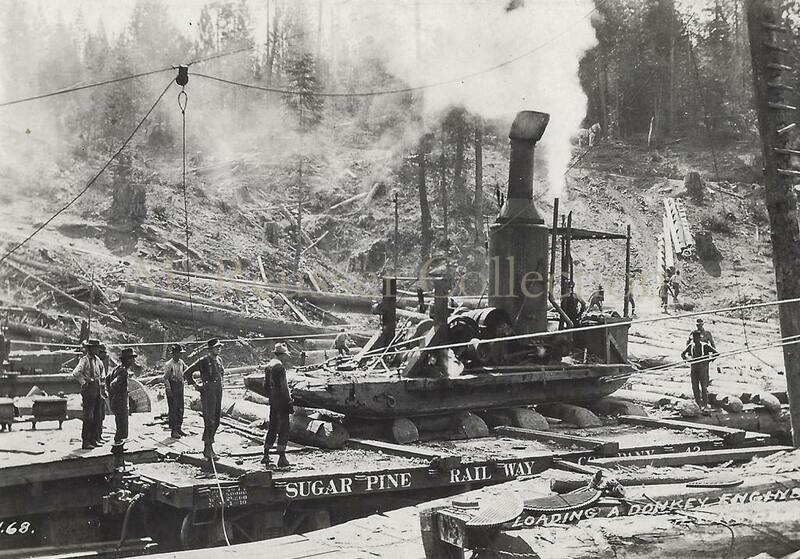 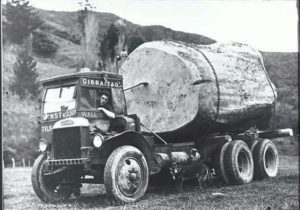 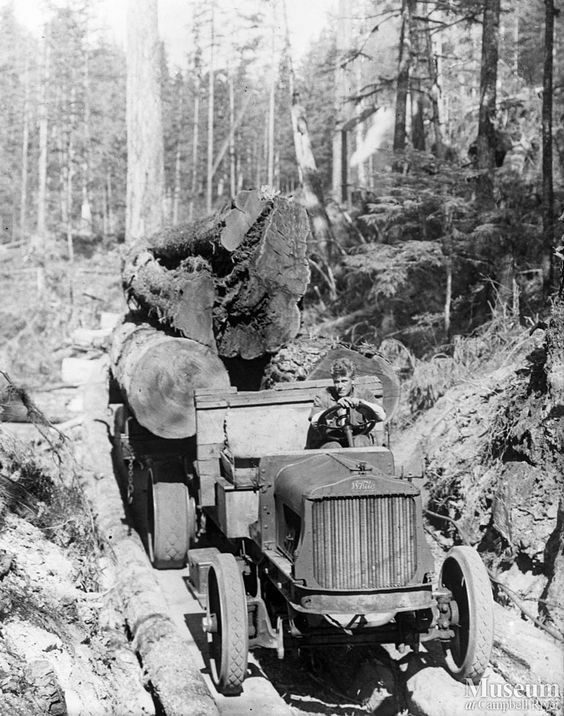 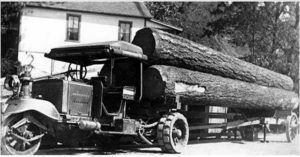 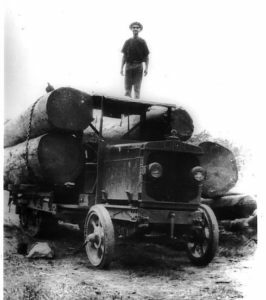 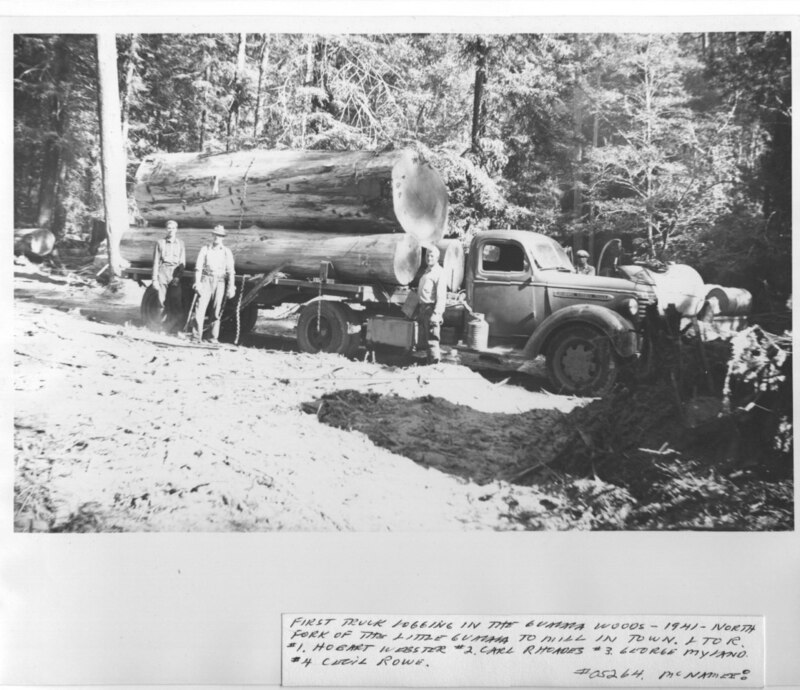 Logging trucks supplanted the railroads that existed connecting the mills to the places where the trees were harvested. 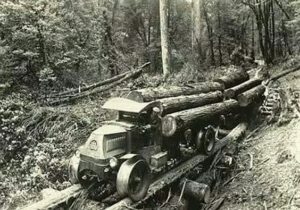 “Hot logging” was much cheaper and more flexible than using railroads. 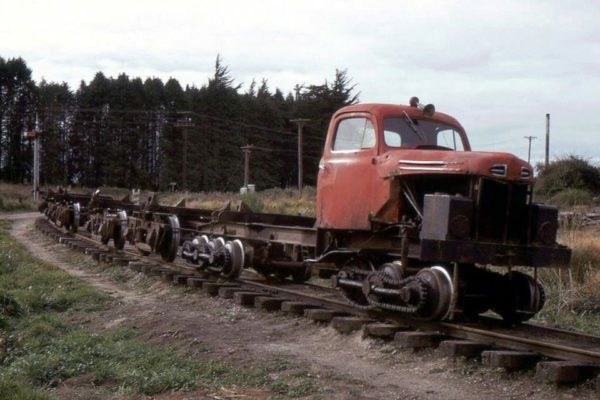 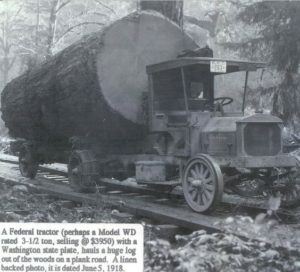 So, as soon as trucks were made that were capable of working in the woods they were utilised as these photos attest. 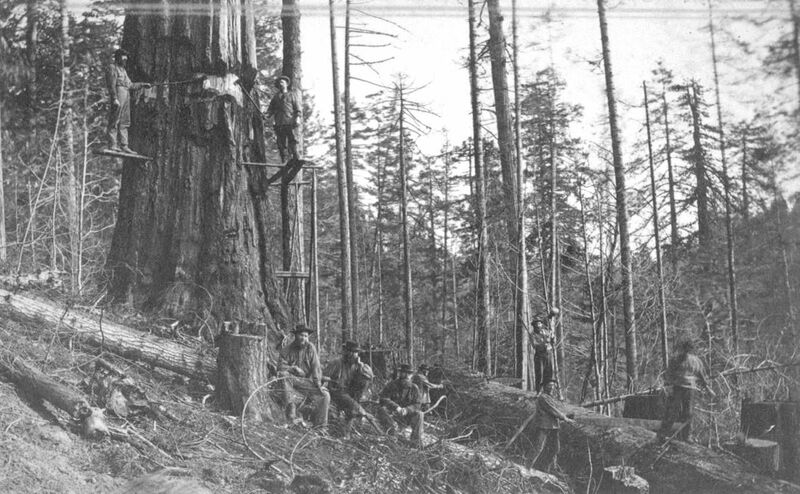 Alas, these photos are not from the Mendocino Coast but are, I believe, atypical of what were used here of which photos are yet to come across my radar. A quick peek at any of these photos and you’ll understand that these monsters were mostly off road vehicles. What was it like “working in the woods” in the late 1800’s? 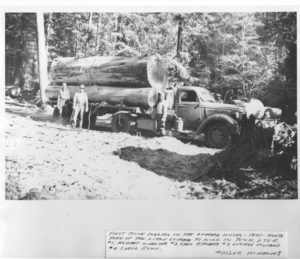 If you check the website section on logging you won’t find even one picture of loggers working in the woods. There were no iphones, polaroids, broownie cameras and precious 4 by 5’s using plates. So ANY photo of loggers in the woods are precious. 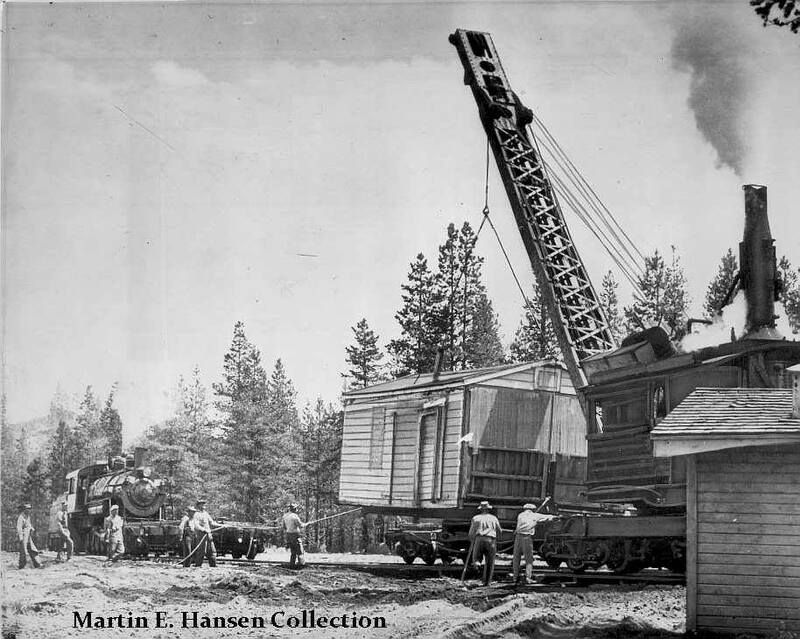 Below is what I think is my “first” as historian of the MCMR&HS.